The main promoter of the locally-produced MGS Entertainment Show, a casino industry-focused trade exhibition and conference held annually in Macau, says it has tied with two firms linked to China’s state-owned business sector, in order to deliver the 2018 edition. A Thursday press release noted that for its first five years, the event had been organised by the Macau Gaming Equipment Manufacturers Association (MGEMA). 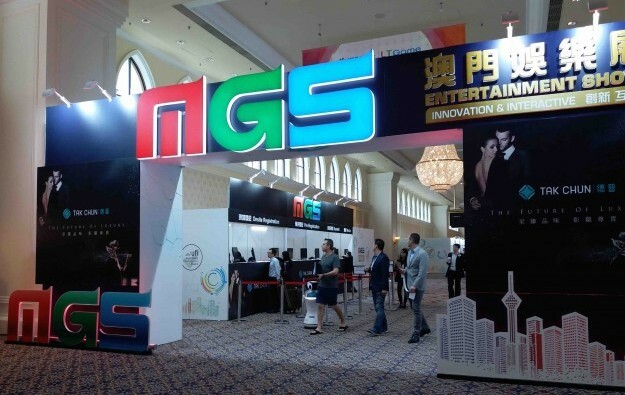 The announcement said that in 2018, MGS would be “co-organised” by MGEMA, Nam Kwong Culture and Creativity Industry Co Ltd and China National Machinery Industry International Co Ltd.
“There is no doubt that both… companies have great potential in promoting the MGS Entertainment Show,” said in a prepared statement Jay Chun, chairman of MGEMA and also chairman of Hong Kong-listed casino equipment maker Paradise Entertainment Ltd.
“Nam Kwong is one of the largest exhibition organising companies in Macau with intensive exhibition experience locally and abroad. China Machinery International has made remarkable achievements in mechanical technology,” stated Mr Chun. Thursday’s announcement said 2018 MGS Entertainment Show would have seven key exhibition themes: leisure technology; gaming equipment; an “integrated resort procurement fair”; environmental protection and sustainability; hotel supplies; fire safety; and eSports. “While promoting entertainment and gaming equipment this year, MGS also hopes to further promote the potential growth of integrated resorts in Macau,” added Mr Chun in his commentary. The 2018 MGS Entertainment Show will be held from November 13 to 15 at the Venetian Macao Cotai Expo.